"PreMaster Budding Blaster Theory (Ethno Style)" does not need to be feared. 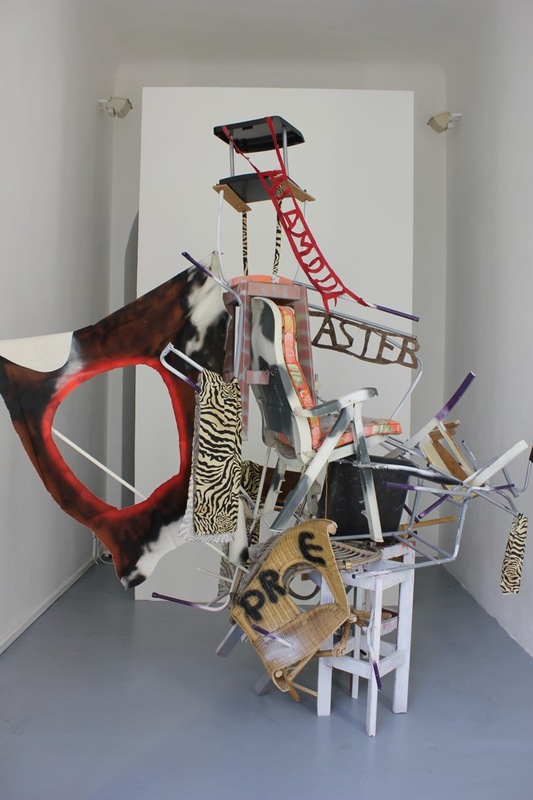 The installation by Berlin based artist Sibylle Jazra is an accumulation of chairs, slogans and textiles that has to be taken as it is. 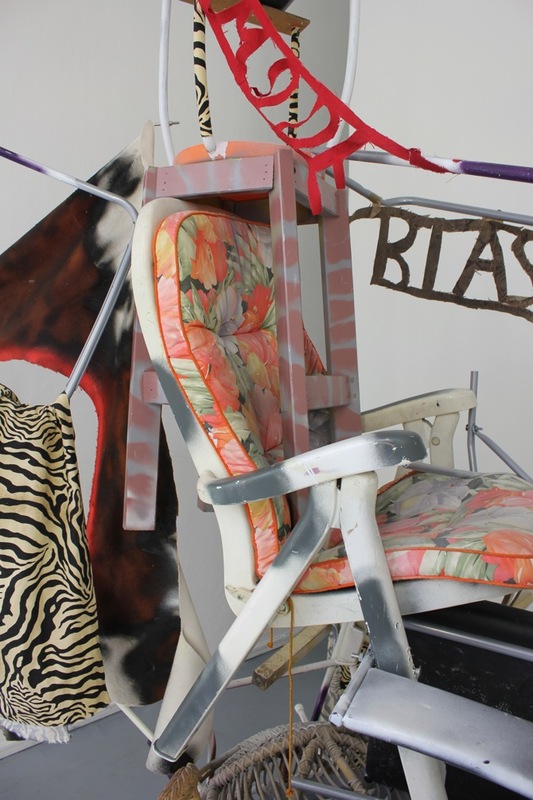 Questioning the seriousness (and sacredness) of text- and theory based art, Jazra'a work instead celebrates absurdity and nonsense. 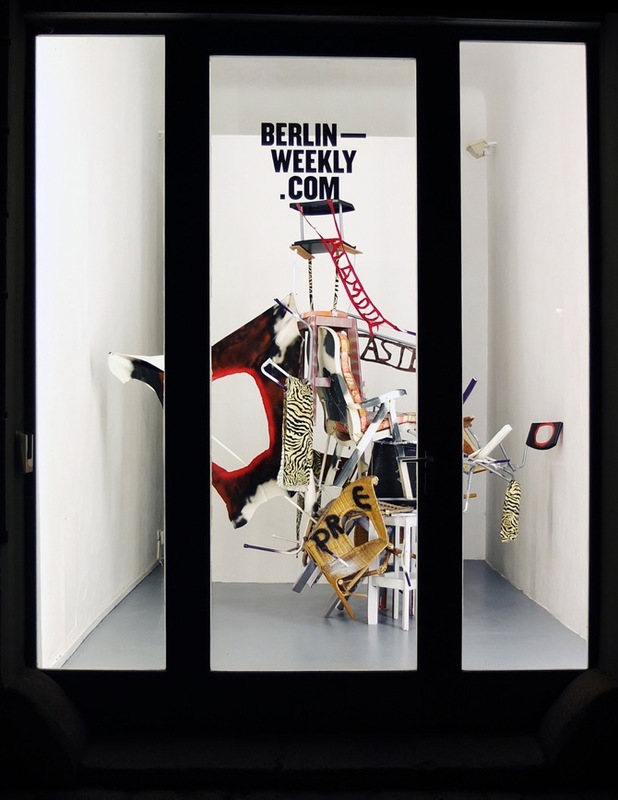 The project room Berlin Weekly, where the installation is currently exhibited, regularly features artists for one week in their display window on Linienstrasse in Berlin Mitte.